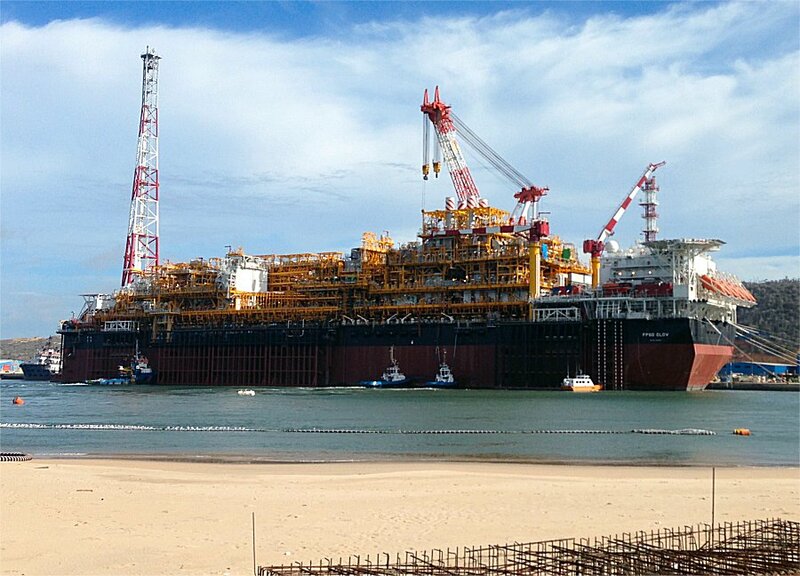 "FPSO Clov", in Angola, in Porto-amboim, PAENAL yard. You will find in attached file pictures I took from CLOV FPSO. 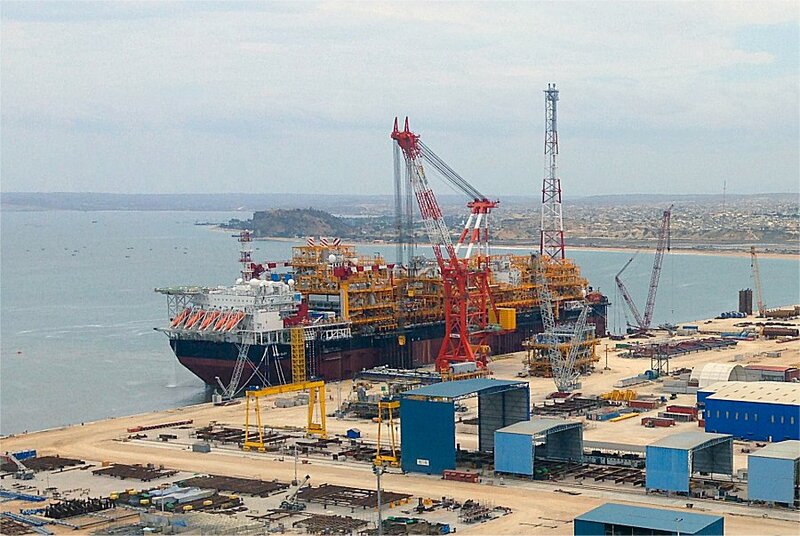 Pictures were taken in Angola, in Porto-amboim, PAENAL yard, were M122 Module (2 000 tons) was built and loaded-out, with the biggest crane of the Africa continent (Jamba – 2 500 Tons capacity). 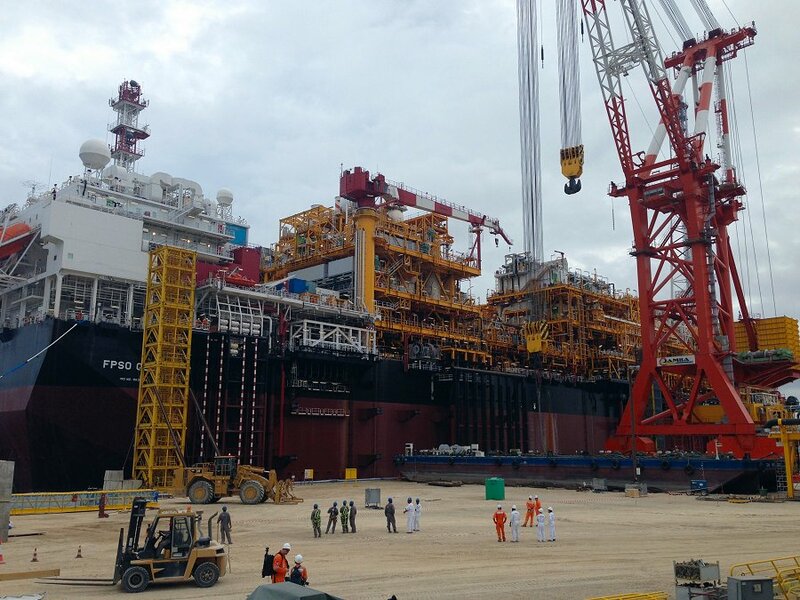 The FPSO, CLOV is right now in Block 17 (TOTAL) with GIRASSOL, DALIA & PAZFLOR. First oil is scheduled for this year (+/- 4 months left). Angola. On behalf of Sonangol (concessionaire), Total is operating Block 17 with a 40 % stake, alongside Statoil (23.33%), ExxonMobil (20%) and BP (16.67 %). Having launched Girassol’s and Dalia’s development projects in 2001 and 2006, followed by Pazflor’s in 2011, the Group started developing the CLOV fields in 2010 (Cravo, Lirio, Orquidea and Violeta). This will be the fourth project undertaken on this particularly prolific block. Key to the project is Total’s mastery of cutting-edge deep offshore drilling techniques. 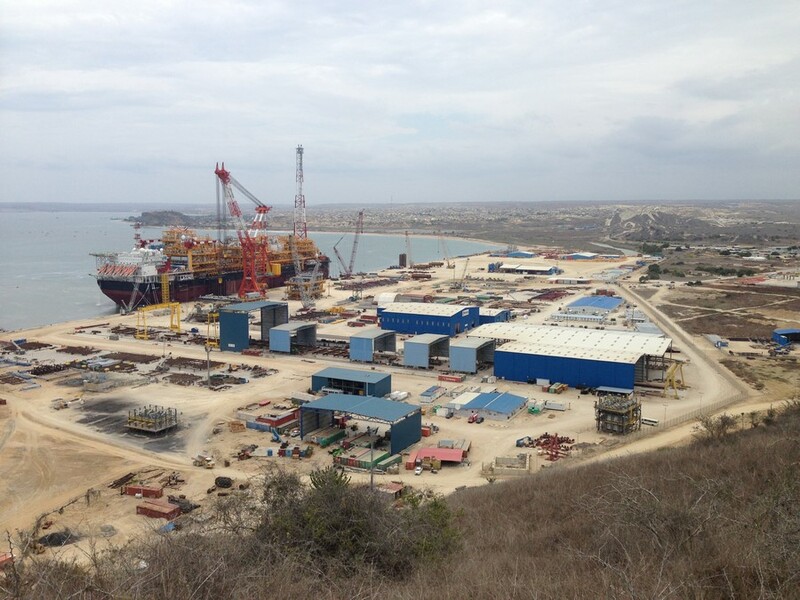 Production is scheduled to start in 2014, with capacity of 160,000 barrels per day. 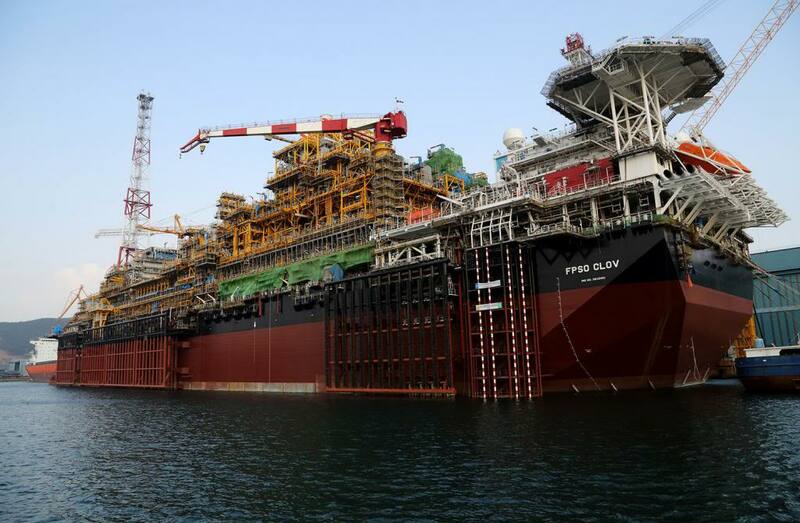 The project will involve 34 subsea wells being connected to the CLOV FPSO unit at depths of 1,100 to 1,400 m. These will process and store oils of 2 different qualities from the Oligocene and Miocene sedimentary beds. The design of the facilities will ensure that the impact on the environment is kept to a minimum, with heat being recovered from the turbines and tank gases. The project will make maximise use of the local workforce. A total of 9 million hours of work will be contracted to local companies.